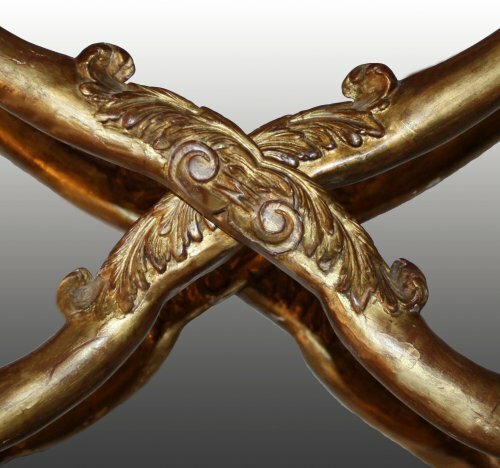 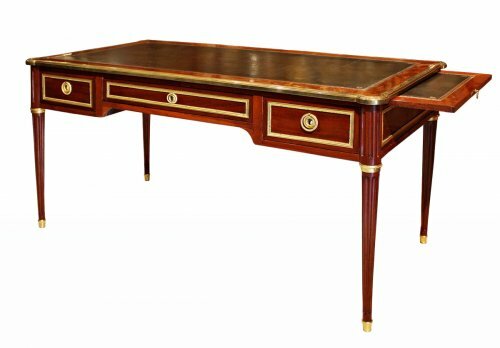 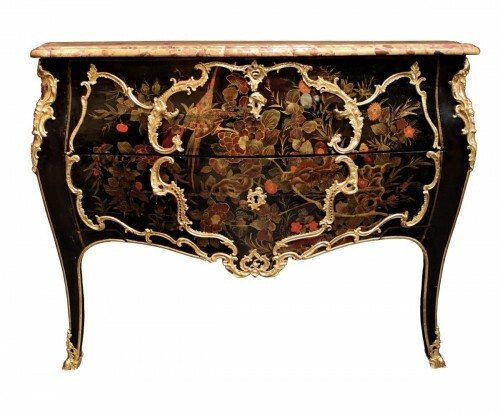 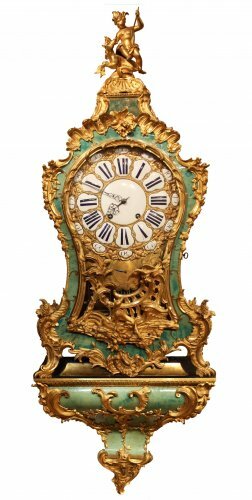 Rare and fine Regence carved and giltwood Pliant. 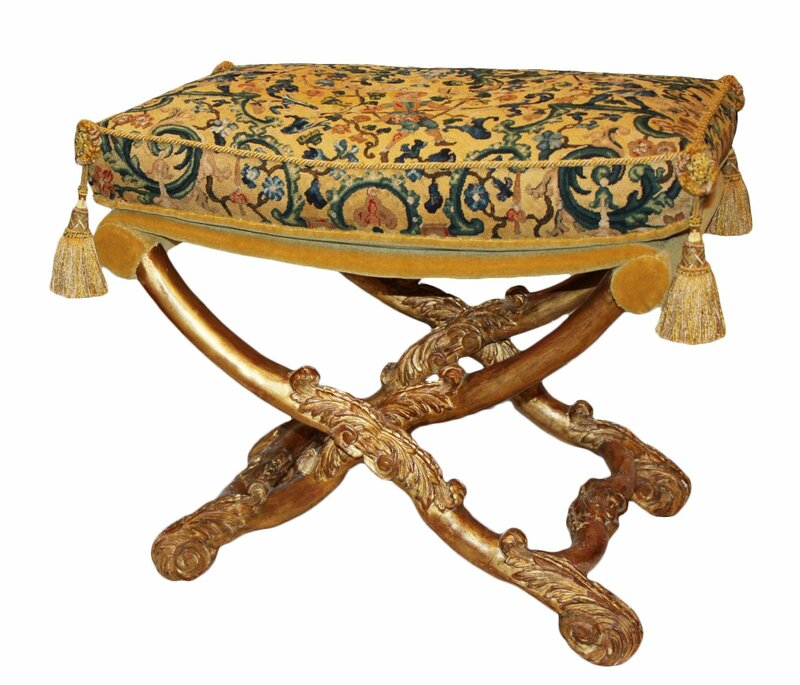 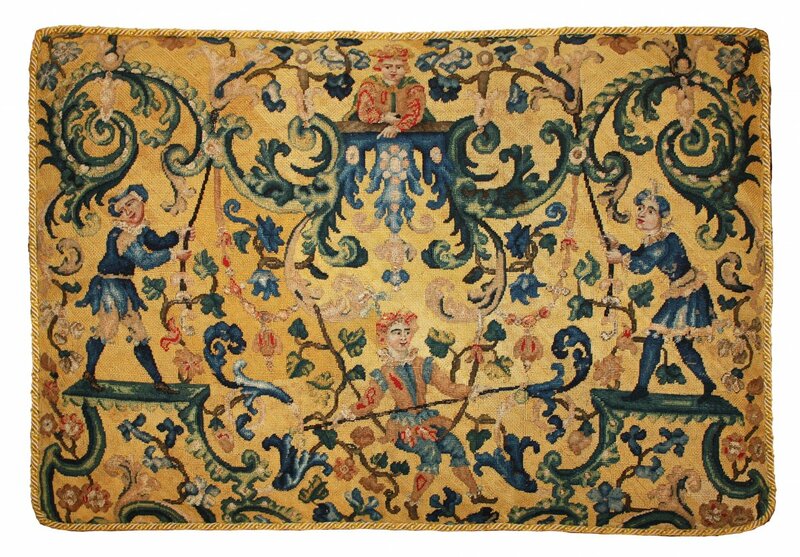 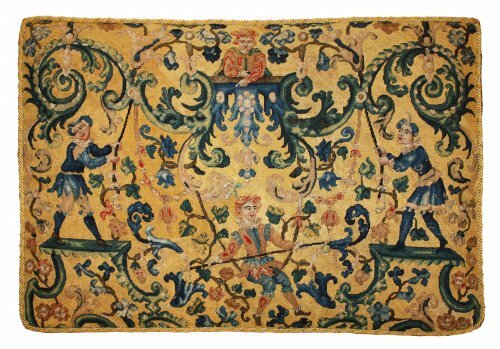 The rectangular cushion seat with passementerie trim, above a folding X-form frame mouldered and carved with acanthus leaves and joined by serpentine stretchers centered with scrolling foliage. 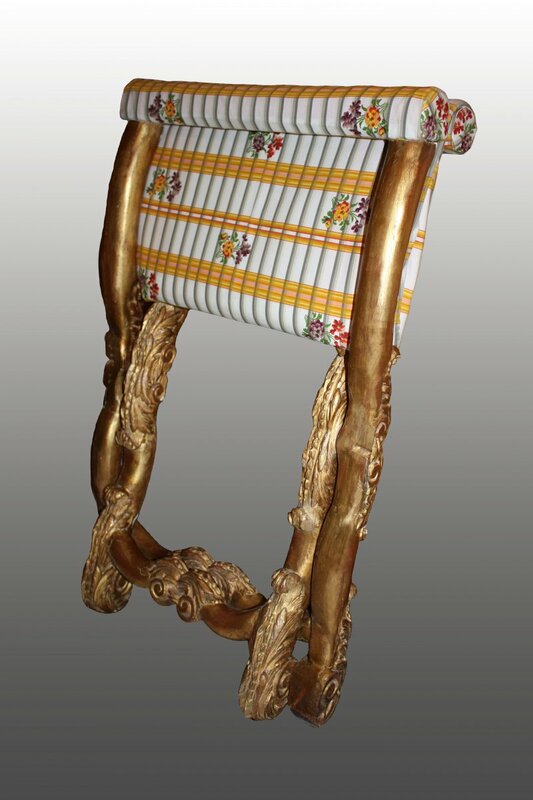 Pliants' bases are always composed of four branches, joined into pairs by a stretcher, and articulated thanks to a pivot; the straps, on which the cushion is placed, keep the branches spread. 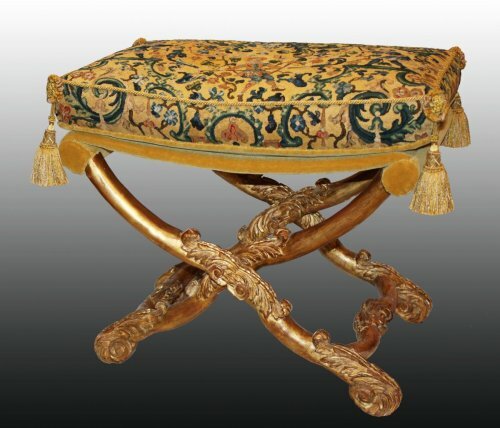 This kind of seat was extremely rare and was used during the monarchy for official framework. Our pliant get a high-quality of construction with overlaid branches and not embedded ones, like the one stored at Château de Versailles.